with Physics/ Chemistry / Biology as one of the subject. C.A. / C.A.I.I.B. /A.I.C.W.A. / A.C.S. C.A. / C.A.I.I.B. / A.I.C.W.A. / A.C.S. Madurai Kamaraj University is a public university in Madurai city in southern Tamil Nadu, India. It was established in 1966 and has about 130,000 students in 18 schools comprising 72 departments and 109 affiliated colleges. 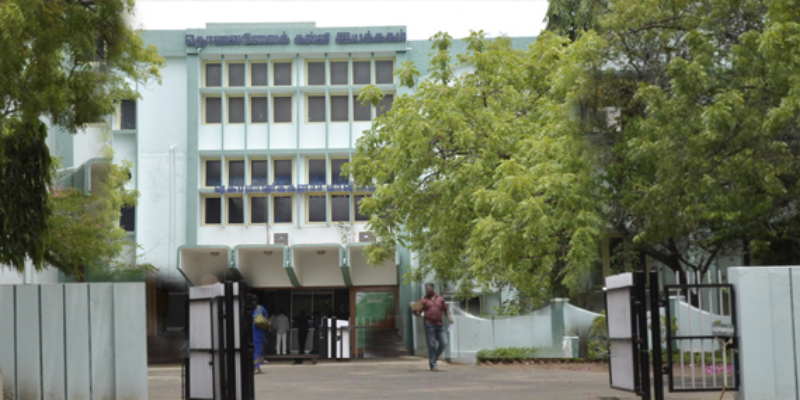 The Madurai Kamaraj University campus is located at Palkalai Nagar in the Madurai to Theni High road. The university campus is located is 13 km away from the Periyar Bus stand and Railway station, 18 km away from the Integrated bus stand Mattuthavani. Buses are frequently available from Periyar Bus stand. 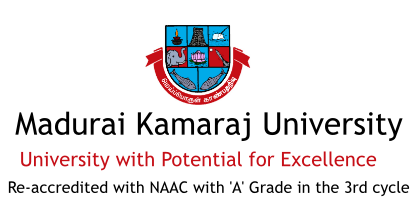 Madurai Kamaraj University is on its relentless journey for the past 51 years surmounting hurdles of indigenous and exotic nature on its way and has passed through the tests of accreditation towards reaching the status of excellence. University is aware that the process of achieving excellence is continuous and therefore, all efforts are in progress to keep up the momentum.